Although not on the scale witnessed in Cumbria, West Yorkshire around Keighley & Skipton did not escape the recent effects of heavy rain in the north of England with serious flooding in the area. 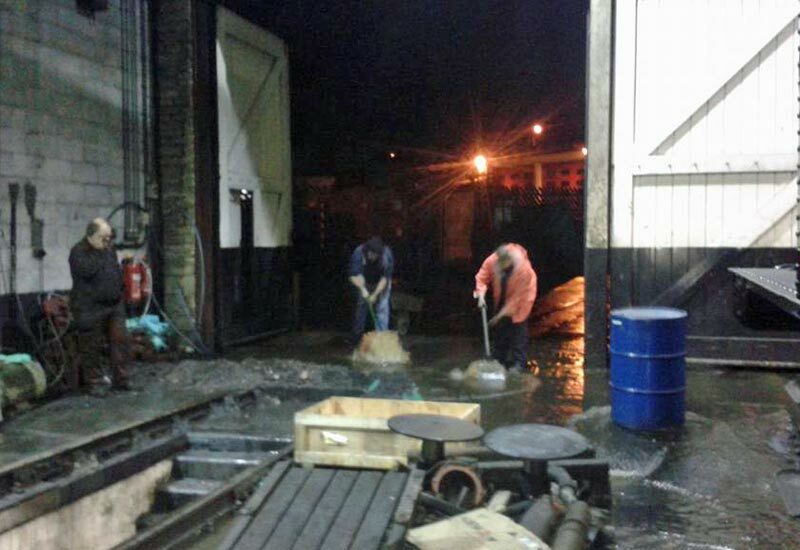 For the first time in many years the Worth Valley did not escape the effects and as a consequence Bridgehouse Beck burst its banks releasing a flow of water into Haworth Yard and into the Goods Shed and Locomotive Shed late on Saturday afternoon. 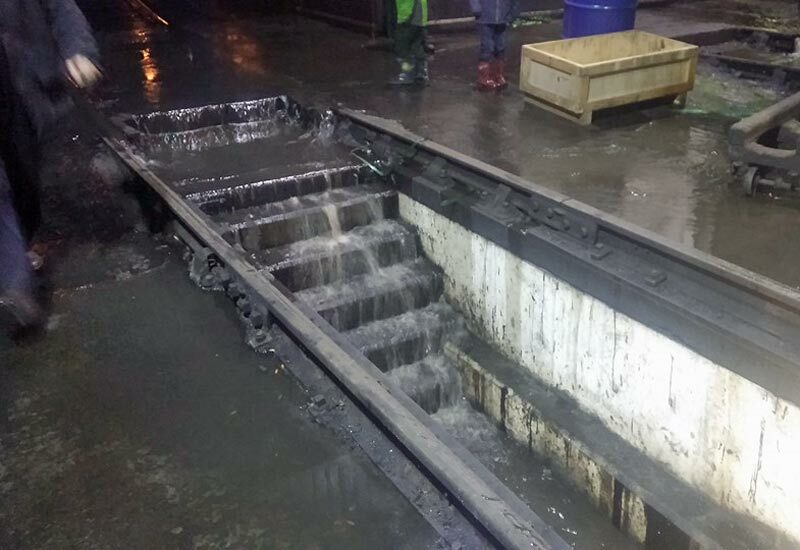 The ensuing flood caused delays to the Santa Steam Special and Diesel Railcar service but after some delay all trains safely completed their journey, just a little late. 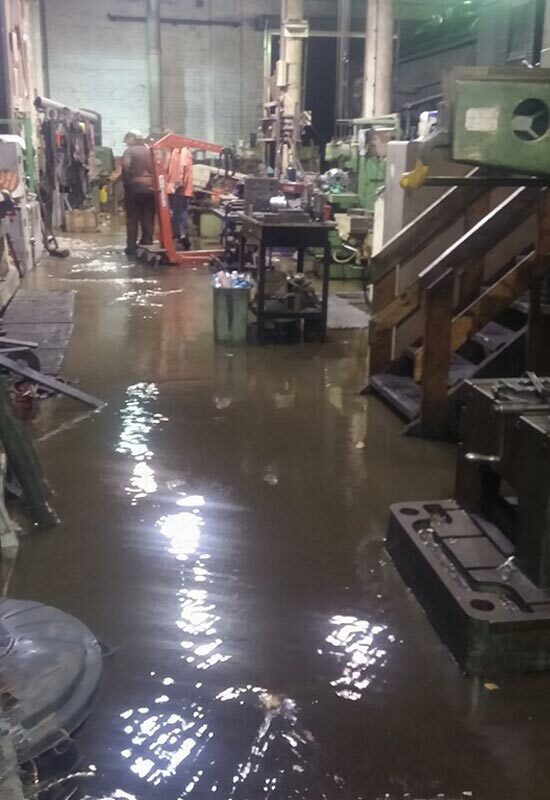 The image gallery below shows the extent of the flooding which, although unwelcome, was not as bad as it could have been and swift action by shed staff on hand prevented any serious build up of water and services on Sunday ran as advertised. 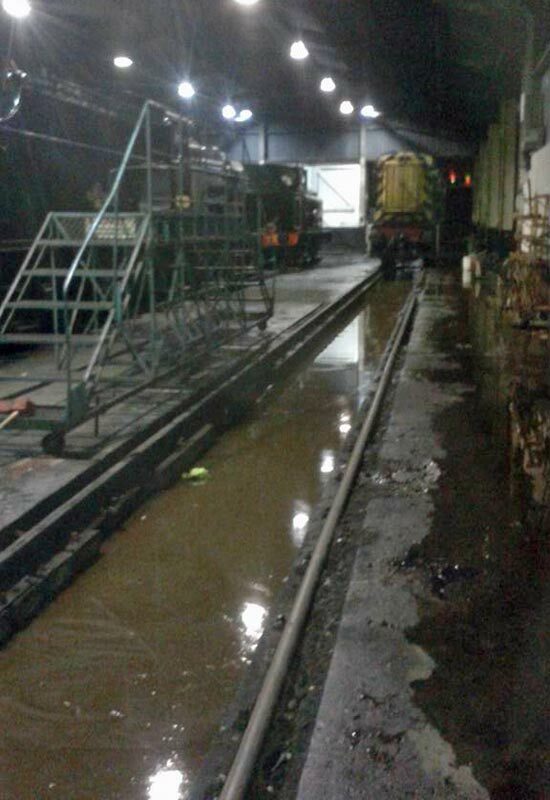 Rumours that the Beck was deliberately diverted to ensure the shed floors were swept have proved to be unfounded. Suggestions that the pit filled with water be heated and used as a jacuzzi were also dismissed. A great effort by everybody involved. 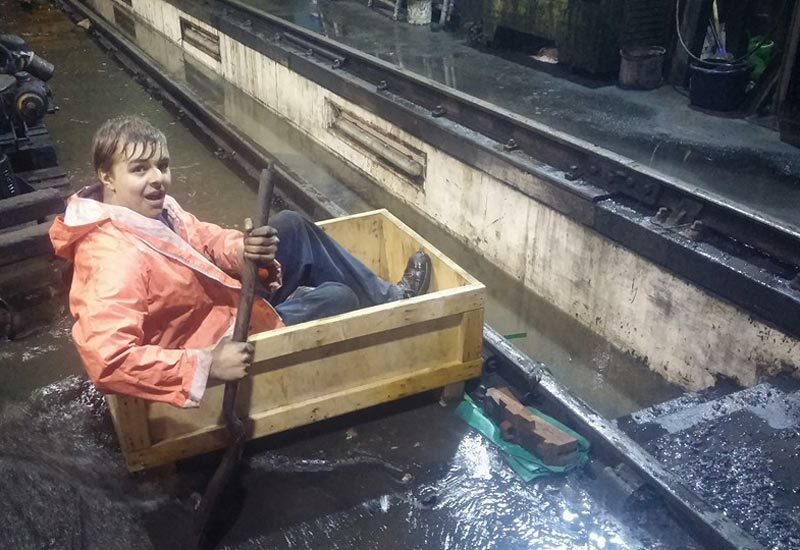 The Haworth lifeboat, as modelled here by Callum Porter, was not called out for this emergency. Did the wheel-drop also get flooded? Not sure David, but I don’t think so.